Sonae Sierra continued to focus on the execution of its long-term strategy of capital recycling and growing its services and development businesses, which resulted in a solid operational performance and a robust level of capital recycled. In 2018, Sonae Sierra managed to sell shopping centres with a Gross Asset Value of almost €600 million, achieving attractive gains, saw its Services EBIT grow by 11% y-o-y, and invested over €165 million in expansions such as NorteShopping, Outlets in Spain and Greece and in a new shopping centre in Colombia, which opened on February 27. Sonae Sierra’s EBIT increased by 2.8%, reflecting the improved performance of its portfolio in Europe and Brazil, as well as improvements in its Services business. This is particularly noteworthy as the increase in EBIT was affected by Brazilian Real exchange rate fluctuations and by the company’s 2017 disposals. On a LfL (like-for-like) basis, EBIT increased by 5.5% during 2018. 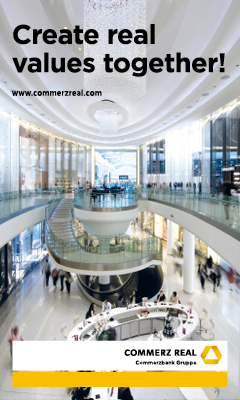 Sonae Sierra’s European portfolio increased its Tenant sales by 2.1% y-o-y. Spain and Romania recorded particularly strong tenant sales growth of 10.8% and 11.5% respectively, impacted by portfolio expansion in Spain and improved performance from Parklake, in Romania. On a LfL basis, sales grew by 2.3% in Europe, benefiting from a strong performance in Portugal, Spain and Romania where the increases were of 3.1%, 5.5% and 11.5%, respectively. Total LfL rents grew 2.0% in Europe, which was mainly driven by better performance in Portugal and Spain, which recorded 3.7% and 3.5% LfL rental growth, respectively. Occupancy rates in Europe continued to be strong with Portugal recording a 99.1% occupancy rate, compared to 97.1% on a European basis. Brazil saw its occupancy rate rise from 92.5% to 93.4%. Indirect net profit reached €43.6 million, as a result of realised gains on the 2018 disposals and the gain on the opening of Fashion City Outlet in Greece plus an increase in the valuation of our Investment properties. Sonae Sierra continued to implement its capital recycling strategy throughout 2018. In December, it announced the signing of a Joint Venture agreement to acquire the Gran Casa, Max Centre and Valle Real shopping centres in Spain for a total of €485 million. Under the agreement, our JV partner will have a shareholding of 87.5%, with Sonae Sierra owning the remaining 12.5% and providing all the management services. The Ores Socimi, a fund managed by Sierra’s Investment Management Services business continued to record a good investment pace, having acquired 18 properties in 2018, for a total investment of circa €174 million. The successful execution of Sonae Sierra’s development pipeline also continued throughout 2018. The new Fashion City Outlet (Greece), a partnership between Sonae Sierra and Bluehouse Capital, opened on November 15, with a total area of 20,000 sq m. Construction also advanced on Jardín Plaza Cúcuta, in Colombia, through the joint-venture between Sonae Sierra and Central Control. This development represents a total investment of €52 million and a gross leasable area of 40,000 m2 for 180 shops, making it the largest shopping centre in the city. The opening took place on February 27, 2019. Furthermore, construction work continues apace at McArthurGlen Designer Outlet Malaga (Spain). This 50/50 joint venture between McArthurGlen and the Sierra Fund represents a €140 million investment to create 30,000 sq m of new retail space. In 2019, the business will continue with its selective capital recycling activity whilst committing to the long-term strategic growth of its most dominant flagship assets in Iberia, and focus on further strengthening its international presence.